Maximum quality at minimum cost for your on-premises laundry. Premium service is a given in the hospitality sector. But at the same time, maintaining on-premises laundry standards should not risk profitability. Electrolux Professional has a strong track record as a provider of hospitality solutions to leading hotels around the world. We make it easy for you to increase productivity while looking your best. Maximum Spinning for Faster Drying. Heavy Duty for Extended Life. Up to 30% Water Savings on Half Loads. Best Drying Results (up to 12% faster drying). More Energy Savings (25% energy savings). What is OPL or (Non-Vended Laundry Equipment)? 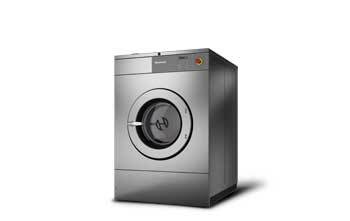 OPL stands for on-premise laundry equipment and is often referred to as non-vended laundry equipment. If you need to do large loads of laundry on a daily basis, this is the option for you. Boxed laundry equipment stores can’t give you the 3-year factory warranty that we can provide, and are their equipment is not designed for the constant use that your company requires. We know what it takes to get your laundry done on a daily basis. Our machines are built with a combination of speed, strength, and energy efficiency. Since 1907 we have been making commercial laundry equipment, and we can guarantee that we have the equipment you need at a price you can afford.